There are many options to get help with child care costs. While the United States is by no means the most progressive country when it comes to social issues and help with child care costs, there are still many options if you do a little research and fill out the required paperwork. Nobody likes paperwork, I know. But with child care costs becoming more debilitating than college tuition, the research and applications will be well worth it. First, check out the resources available in your state. What exactly states provide vary slightly or marginally, so check out the website of the Office of Childcare (which is part of the US Department of Health and Human Services) to find out where to start your search. For example, the state of California offers several options to support families with childcare costs. Some of those initiatives include: Migrant Childcare and Development programs, California State Preschool Program, Severely Handicapped Program, Alternative Payment Program, CalWorks Childcare, and plans to work with low-income families. While in Ohio, they have a more straight forward but limited program in which parents who are working or going to school can fill out an application to get reduced childcare costs based on their income. South Carolina is similar to Ohio in that they offer a voucher program for families with working parents and can provide some financial support based on income. Programs differ all over the country. Then figure out, of the different child care options, what is right for your family. Cost definitely comes into play here. You can look into babysitters, nannies, family care centers, or daycares. Some states even offer free preschool and daycare options that are paid by government funds, taxes, and sometimes parent fees. You can expect to get what you pay for with babysitters and nannies. Sometimes you can find a young college student who is passionate about children and education but if you want someone with more experience, it will cost you. Although, some states offer stipends even for families to get a babysitter! Click here to start a search for care in your area and there are several government websites that offer daycare referrals and resources. Do not give up! 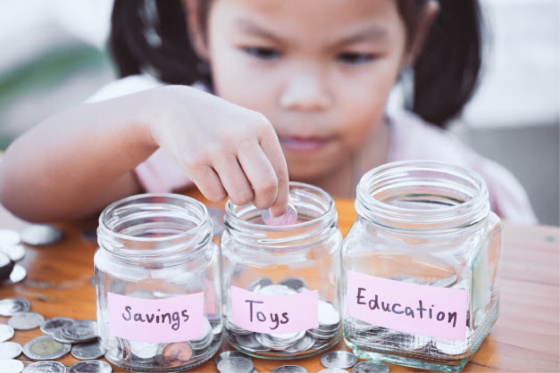 Sometimes our family and financial issues can seem very overwhelming but there definitely are resources out there for you to get help with child care costs.